The Bitcoin community on Steam! Bitcoin is a digital currency invented by an unknown person or group of people under the name Satoshi Nakamoto. Unlike most currencies, Bitcoin does not rely on a central issuer, like a bank or government. Bitcoin uses a distributed database across a peer-to-peer computer network to record transactions, and uses cryptography to provide basic security functions, such as ensuring that bitcoins can only be spent once, and only by the person who owns them. Bitcoin's design allows for anonymous ownership and transfers of value. Bitcoins can be saved on a personal computer in the form of a wallet file or kept with a third party wallet service, and in either case Bitcoins can be sent over the Internet to anyone with a Bitcoin address. Bitcoin's peer-to-peer topology and lack of central administration make it impossible for any government or other authority to change the value of bitcoins or induce inflation by producing more of them. Giveaways of new and interesting games are done on a regular basis. Be sure to join the group to participate and receive notifications! Click here for current giveaways. Looking to trade your stuff for bitcoins, or other cryptocurrencies? Visit the trading section. KHOLAT is currently free. If you visit the store page and simply click "Install Game" once - it will be in your library forever! Humble Bundle is giving away free copies of Deponia: The Complete Journey! 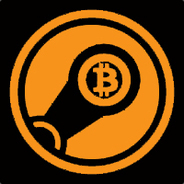 "The Bitcoin Group aims to review great games of all genres, from indies to AAA - and everything in-between. Contact: bitcoingroupsteam@gmail.com"